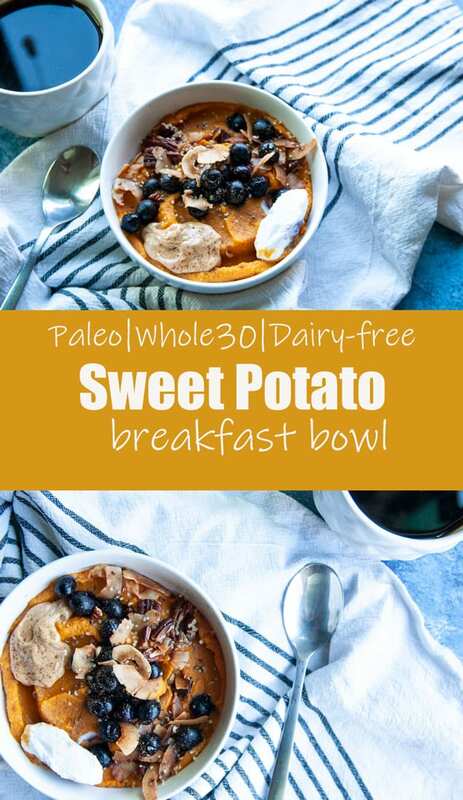 Just when you thought sweet po’s couldn’t get any better this Sweet Potato Breakfast Bowl came around! Hey, hello everybody!! This weekend has been jammin’! And if you don’t know what jammin’ is, it just means I’ve been doing ALL the activities. For me, I couldn’t ask for better two days. Because Phoenix is starting to heat up again, I have to take advantage. We got to check out the farmer’s market at downtown and picked up some delicious produce. So if you catch me roasting some delicious butternut squash this week, don’t be alarmed. I also, snagged a killer deal at Rack Room, shout out to the BOGO that will now be blessing my feet. So also, if you catch me rocking sweet shoes, again… don’t be shocked. 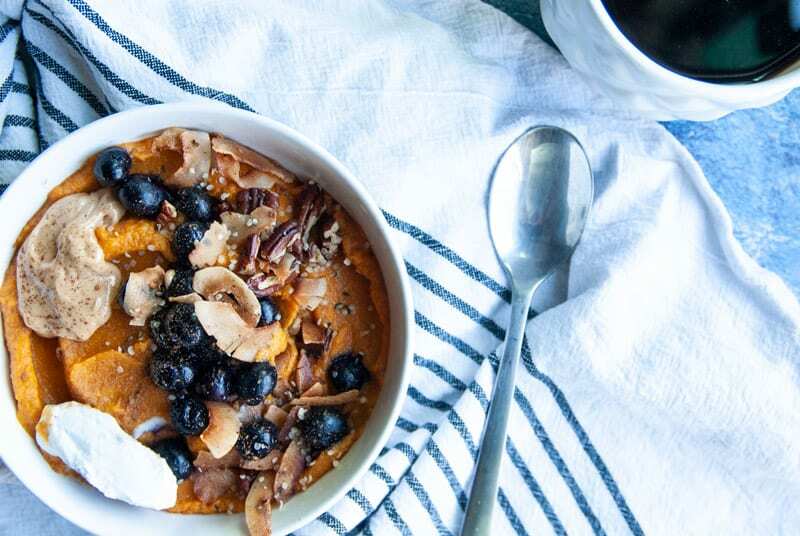 Now about this sweet potato breakfast bowl…. Not that I was ever skeptical that sweet potato could be you know….. a sweet meal. I just always thought you had to add something sweet to it…. Well ladies and gents, this sweet potato breakfast bowl is everything I’ve been missing in sweet breakfasts since Whole30 has made it move into my life. And don’t get me wrong, I LOVE eggs. But on Whole30, the amount of eggs you eat may leave you wanting variety. 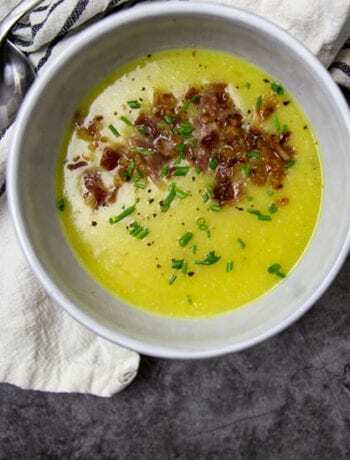 This recipe is perfect go-to for a Whole30 egg free breakfast. I’m obsessed. One bite and I was like… good lord, why have I made it this long in life without making one of these?! All is good now, since you know… I know now. 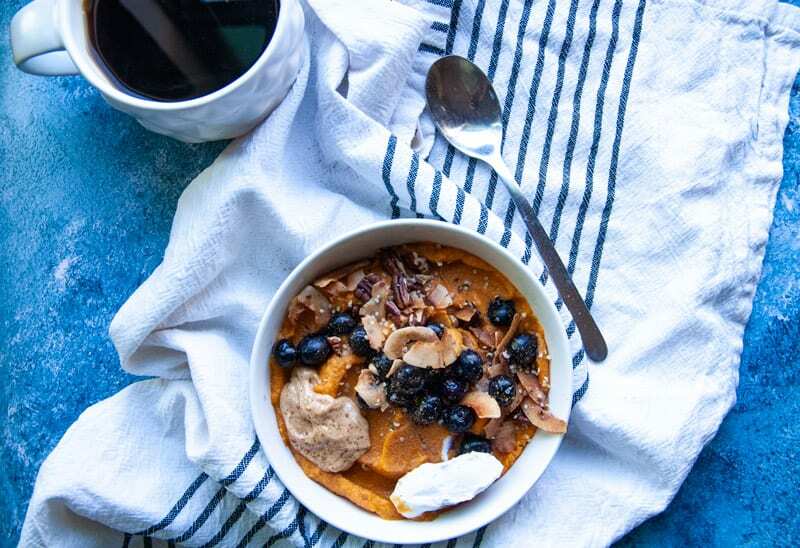 The best thing about this sweet potato breakfast bowl is that it is pretty much customized to anything your heart desires. 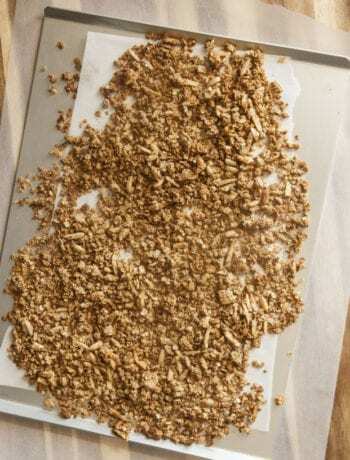 Next time I might dare to do a banana walnut, don’t tempt me with a good time. 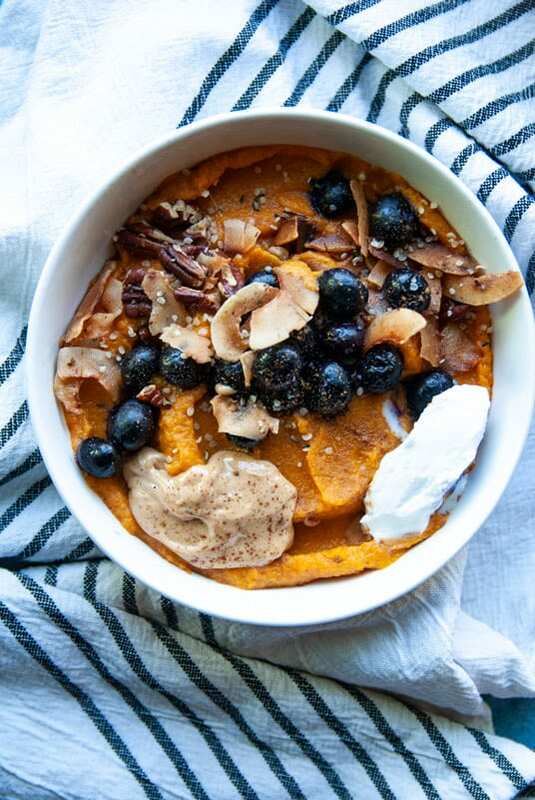 I topped my sweet potato breakfast bowl with some toasted pecans and coconut, blueberries, cashew butter, coconut cream, and hemp seeds. The textures and flavors were… OUT. OF. THIS. WORLD. Oh and if you add collagen peptides to this baby, it will add an additional 10 grams of protein. I use vital proteins, it’s great and doesn’t have any flavor. So all in flavor of making bowl happen, do it!! 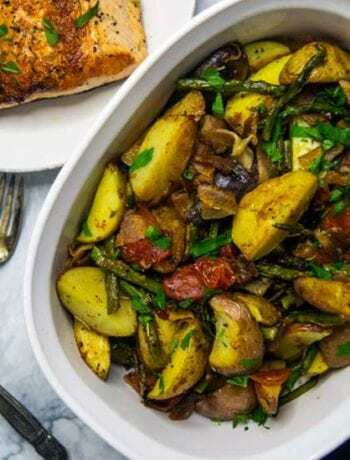 Oh yea, and if you are wondering this gem is dairy-free, grain-free, whole30, and paleo!!! This Whole30 egg free breakfast is sure to win hearts and bellies. 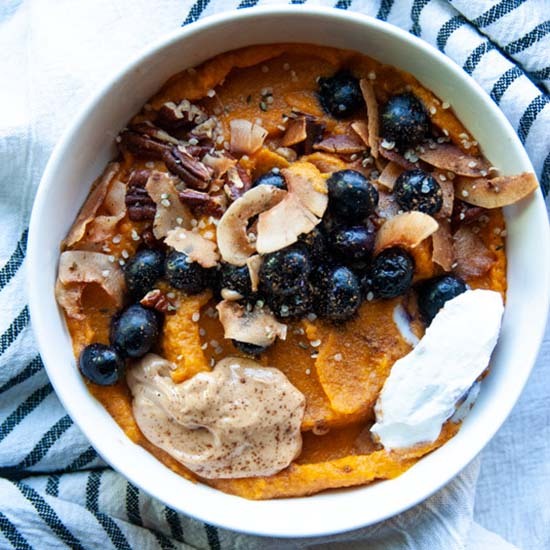 Want another Whole30 Sweet Potato recipe, check out this breakfast hash!